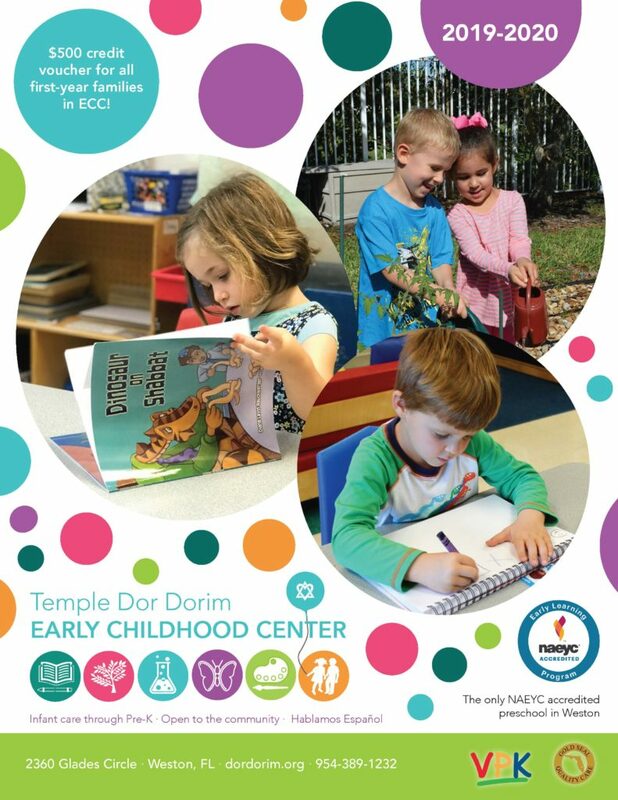 At Temple Dor Dorim Early Childhood Center / Preschool we believe children develop a world of knowledge through creative play. Play provides children with hands-on experiences that help them grow developmentally, cognitively, emotionally and socially. With play as an integral component of our curriculum, it enables us to create a warm, nurturing environment where children feel safe to take risks while exploring their world. This type of environment stimulates curiosity and fosters a lifelong love of learning. Curriculum is integrated so that experiences are connected and learning is meaningful. Through a centers based approach, children are exposed to a language rich environment that encourages the early skills necessary for reading and writing. Along with academic readiness our goal is to instill within children and their families a cultural identity, Jewish morals and values and a sense of belonging to the Jewish community. Our Early Childhood staff is dedicated to meeting the individual needs of every child while promoting their physical, emotional, social and cognitive growth. Our learning environment cultivates challenges that enable children to achieve their maximum potential. Our staff is able to elicit creativity, imagination and divergent thinking in our children by fostering their independence, building their self-confidence and helping them to develop a positive self image. Our teachers are experienced, highly trained early childhood educators. All of our head teachers and assistant teachers have early childhood certifications. The entire staff participates in ongoing workshops and conferences, insuring the school’s professional commitment to teaching. CALL TO ASK FOR OUR LAW ENFORCEMENT, MILITARY, AND CORPORATE DISCOUNTS! Like us on Facebook to see what we’re doing! For a personal tour of our facility and to receive admissions information please contact the Early Childhood office at 954-389-1232 or email us.